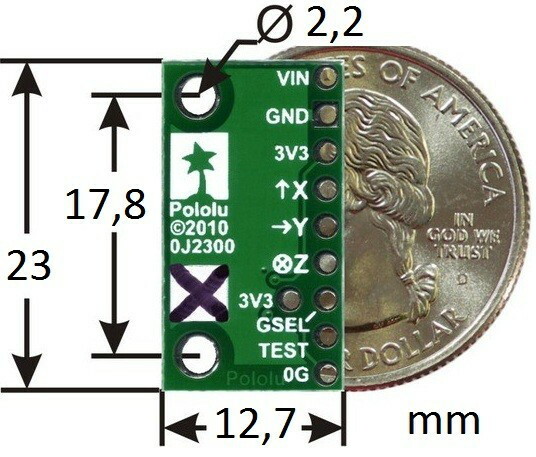 > ELECTRONICS>Sensors>Accelerometers>Pololu MMA7361LC 3-axis analog accelerometer with reg. 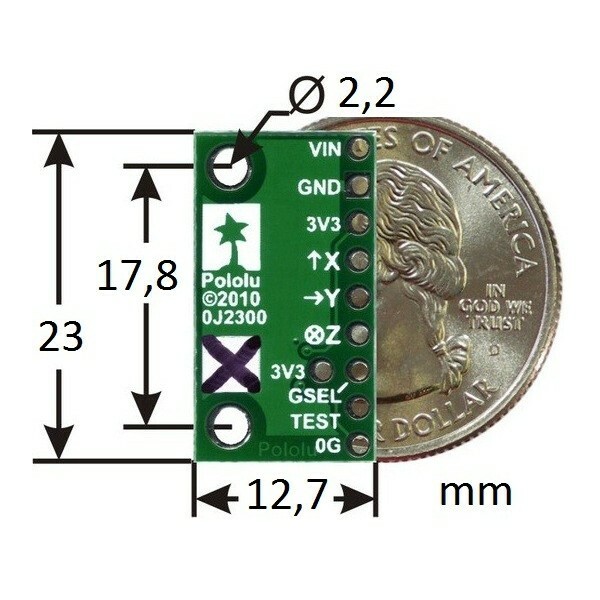 Pololu MMA7361LC 3-axis analog accelerometer with reg. 3-axis acceleration sensor operating in the range of 1.5 G or 6G. 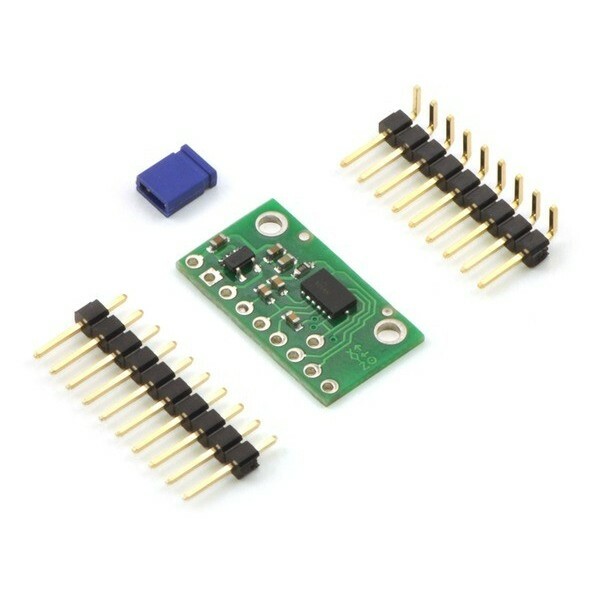 Has a built in voltage regulator, which provides power for: a 2.2 V to 16 V. the System communicates via an analog signal. The sensor is equipped with a 3D accelerometer MMA736L of Freescale is used to measure acceleration in three axes. Built-in regulator allows you to power the module, any voltage in the range from 2.2 V to 5.5 V. the output is passed to the Central unit in the form of analog voltage. Conclusions are popular goldpin connectors, for connecting the sensor via wires or to connect directly attached to plate fixation. Before connecting, you must see the documentation of the module. The circuit is within the rectangle of size: 23 x 13 mm Thickness generally does not exceed 2.5 mm. For mounting there are two holes with an internal diameter of 2.2 mm. 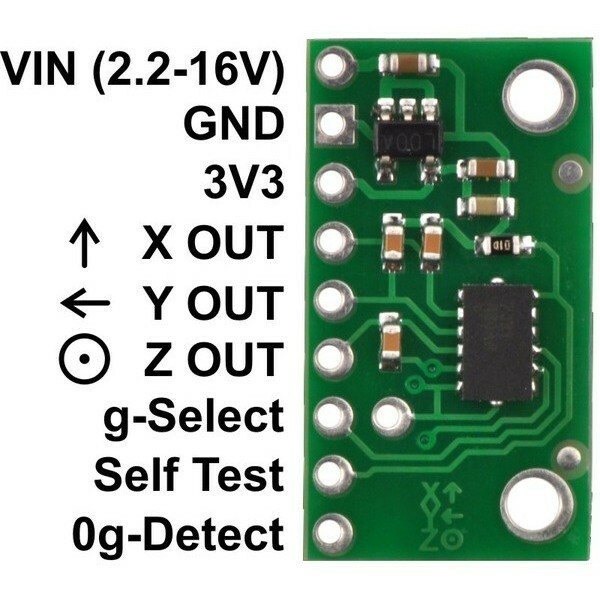 Zasilnie from 2.2 V to 16 V connected to VIN contact. Contacts X, Y, Z are the analog outputs of the respective axes of the accelerometer. 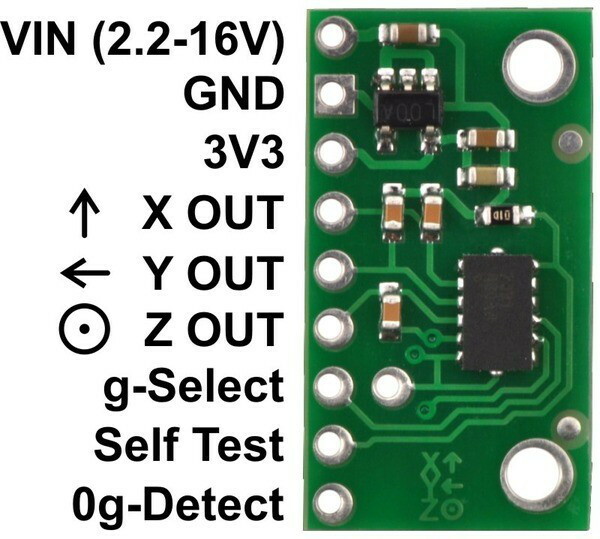 The output is centered on half the value of the voltage contact 3V3. The acceleration causes a positive increase and a negative voltage drop. +/-3G (440 mV/G) for MMA7341L. +/-11g (118 mV/G) for MMA7341L. Pin-0g-Detect is high when all three axes detects 0G. SelfTest Pin is internally pulled to ground. His connection is not required for proper operation of the module. Details in the documentation. The module can also be powered directly by the voltage from 2.2 V to 3.6 V supply on pin 3V3. Contacts SelfTest and g-Select is not work with 5 Volts!